Cancer Survivor? How About a Scan You Won’t Dread. This month is the fourth wedding anniversary of my precious older daughter and her husband. What a joyful celebration their day was for all of us!! August is the seventh anniversary (seven?!) of settling into our new home and swimming in our pool and watching the trumpet vines blossom and seeing leaves turn color while swimming. Swimming towards a November 2010 surgery because a gyn ultrasound in August 2010 gyn found something not-normal growing inside my body. I keep looking backwards because it often helps me move forward. I have no complaints that really matter. I’m here. So many people have lost loved ones to cancer! Their loved ones are not here. August makes me think a lot about things like looking backwards and swimming forward. Are you a cancer survivor? Do you feel like there is some kind of gap between the end of cancer treatment and the carrying on with life? Waiting for the other shoe to drop? Released from medical care with no real compass about what life is supposed to look like in the days and weeks and months and years ahead? I’ve given myself permission to walk forward deciding what I will be comfortable with in my body and what I will not, in regards to medical procedures. One of the things I’ve been re-learning is to rest in the things that nurture my body and soul and spirit, and avoid the things that don’t. Sometimes we don’t have an option; many times, we DO. One of the things that is nurturing me right now is the addition of essential oils into my personal routine. 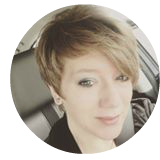 I’m concerned about things I put in or on my body, and oils are powerful, so I’ve chosen a company that I have researched and am comfortable trusting for oils. Quality matters when it comes to nurturing a body battered by surgeries, chemo and radiation, and more surgeries. 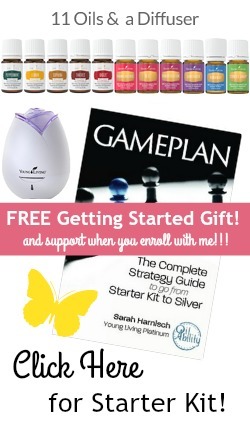 If you’re a cancer survivor I would love to share with you how essential oils have empowered me to feel more in control of what happens in my body. I also have a scanner that causes me no angst! It’s called an iTOVi scanner and uses bio-impedance to match up frequencies of essential oil products with the frequencies in my body. You could say it’s helping me identify and naturally cover some of those personal wellness gaps that I have wondered about since coming through cancer and cancer treatment. However, I do NOT endorse using this scanner if you do not use YL products. I cannot validate the quality of other oils and the iTOVi scanner is intended to support my wellness via Young Living essential oils. 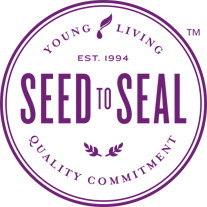 It makes me feel good to know that iTOVi trusts Young Living as one of their partner companies. What does August mean to YOU? If you’re interested in starting a new wellness scan tradition with iTOVi, or to begin the journey of enjoying essential oils personally, email me at goodhopebloggers [@] gmail.com for more info.